My favorite cough remedies are Golden Milk and a good book. You’ve got to figure out the book, but I can help you with the cough-soothing Golden Milk! 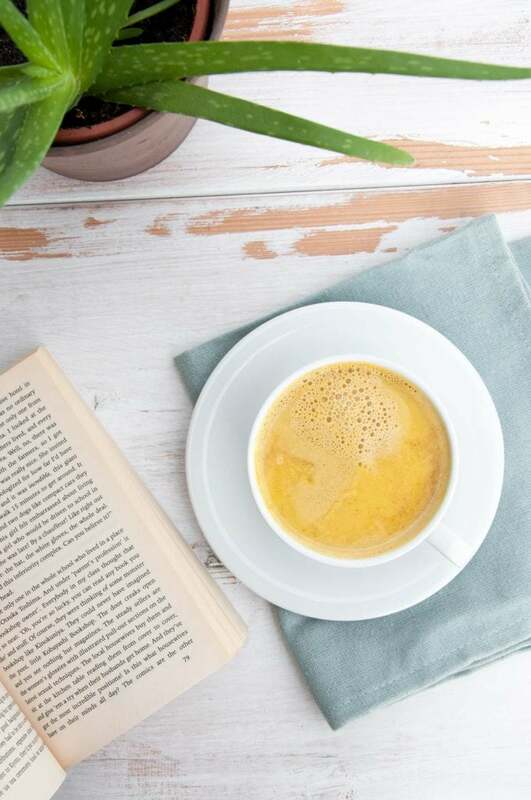 You’ll only need 4 ingredients and 2-3 minutes, so you can make this healing hot drink even when you’re not feeling too great. Unfortunately fall is not only the wonderful season of red leaves, pumpkin dishes and pre-christmas spirit, it’s also the season for flues, colds and nasty coughs. Ugh! I’m pretty lucky that I don’t get sick often, but this year, it got me. It got me good. I pretty much skipped the cold and went straight to the never-ending cough. It’s not pretty and so annoying. My chest hurts from all the coughing. Golden Milk. You can find the recipe for it at the end of the post. and only 2-3 minutes, until the milk is warm. 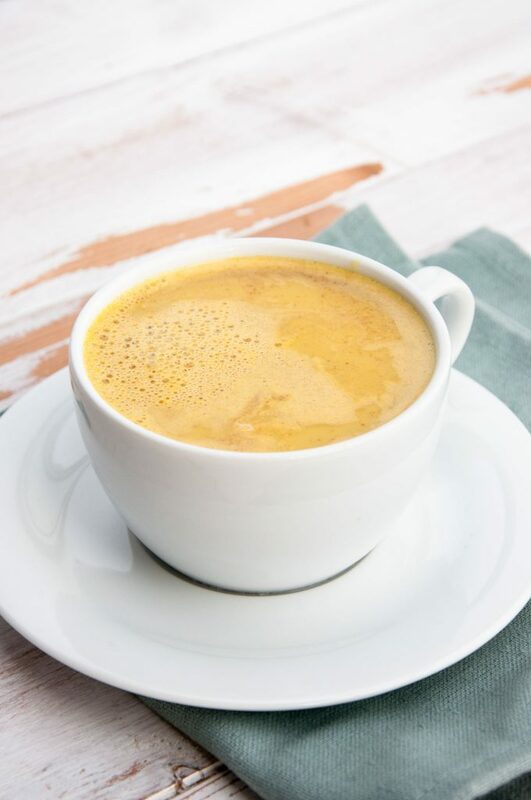 So even when you’re having a really bad day and can’t be up on your feet a lot, you can quickly make yourself a cup of healing and cough-soothing Golden Milk. 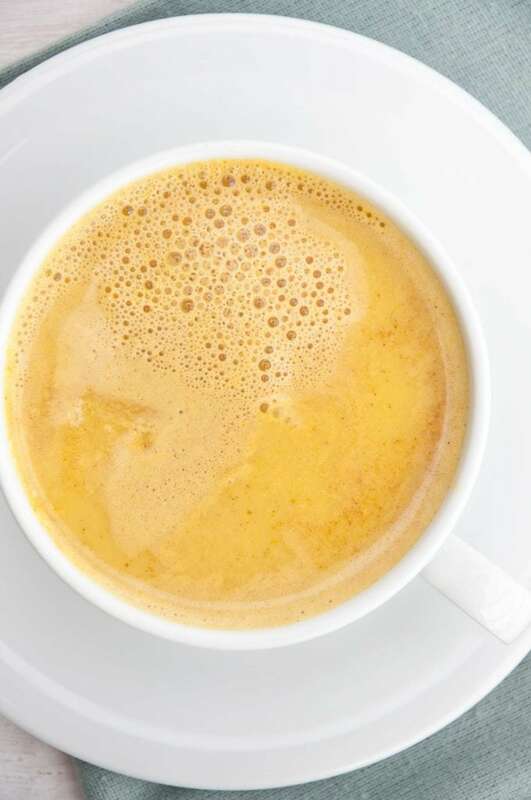 If you're dealing with a nasty cough, this cough-soothing Golden Milk will make you feel better. 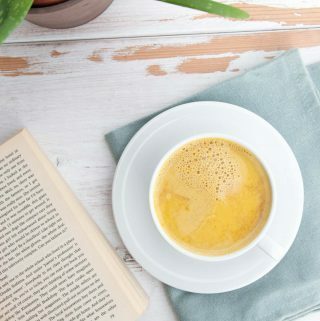 You'll only need 4 ingredients and 2-3 minutes, so you can make this healing hot drink even when you're not feeling too great. Heat the plant-based milk in a medium-sized pot. Add the turmeric powder, cinnamon powder and maple syrup and whisk. Once the milk is hot, you can fill it in the cups. *The coconut rice milk I've used is unsweetened, but due to the coconut it tastes pretty sweet. So if you're using unsweetened rice milk or oat milk, you might want to add more maple syrup to give it a sweeter taste. Do you have any natural cough remedies you like? I’d love to hear your tips in the comments below! Wow, your photos are so professional! Do you use retouching? 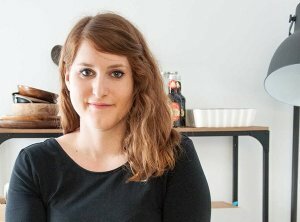 Tell me what you think about these tips and ideas for food photography retouching http://fixthephoto.com/blog/retouch-tips/how-to-edit-food-photos.html. I would like to hear your advice. Thanks in advance! Thank you, Gulia! I do shoot my photos in raw and edit the exposure, white balance, shades etc. in lightroom. Hi Bianca, You did an excellent job here. Your captures and editing were so professional and attractive as well. Golden milk how amazing it . I don’t eat it ago . Thank you for this well post shared . Really but i don’t know about it . Thankfulness for your information . Thank Bianca for another excellent post. I appreciate you sharing this blog article. Much obliged.